Decorated with peace signs and a campervan. 6m of triangular Hippie bunting. 6m of bunting with 15 flags. Triangular pennant flags. USPCC Bicycle Bee Hoyle Aristocrat KEM Maverick Poker Magic Playing Cards. 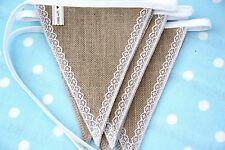 HANDMADE CHRISTMAS FABRIC BUNTING.LOADS OF CHOICE.HESSIAN,READY TO HANG. LARGE DOUBLE SIDED PLASTIC FLAGS! HANDMADE CHRISTMAS FABRIC BUNTING. 29 DESIGNS.BANNERS,VINTAGE GARLANDS. 'Yo Ho Ho!'. PirateChristmas Bunting. Each pennant is approx. 18cm x 14cm at the widest points. 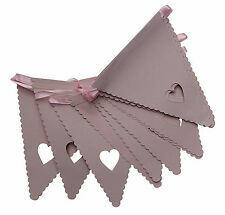 Each flag has pre-cut holes for you to thread them onto the 3m of red organza ribbon (supplied). 5 flags with the Skull wearing a Santa hat and 5 flags with a holly covered anchor, as pictured. HANDMADE PERSONALISED BUNTING. THE LENGTH OF THE ENTIRE BUNTING WILL DEPEND ON THE AMOUNT OF FLAGS YOU HAVE. HEART, BUTTERFLY, STAR, DAISY, BALLERINA, UNICORN, CUPCAKE, FLAMINGO, TIARA, QUEEN /PRINCESS CROWN, SNOWFLAKE. Brand New and high quality. Wonderful for wedding, baby shower, festival, anniversary, back-to-school party, bachelorette party, Valentine's Day, Easter and much more occasion Ribbon string with 12 pieces flags. Can be arranged according to your own preferences. It is a good choice for gift to your friends. 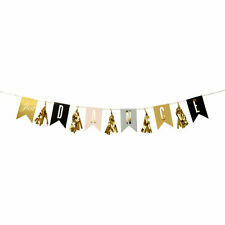 Vintage Mini Triangle Banner is the perfect banner to add that extra sparkle for any occasion This is Glitter paper,very beautiful Material Paper Main Color White, Black, Gold Ribbon Length 292cm/114.96"(appr.) 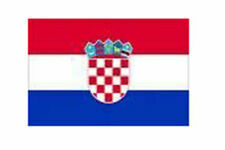 Flag Size (L)X(W)17X14cm /6.69''X5.51''(appr.) Type Banner Occasion All Occasions Theme Christmas Brand Unbranded/Generic MPN BL657472268973 EAN 657472268973. MULTICOLOUR COLOUR BUNTING 125 FEETs 100 FLAGS BANNER BIRTHDAY DECORATION PARTY DESCRIPTION: 100 pennant flags,125 feet 1 flag is L28cm x W18cm approx Material:PVC Plastic Weight:120g Suitable for indoor and outdoor use Ideal for birthdays, parties, decorations etc Assorted Colour Pennant Flags Make your party more fun with our decorations Package Include: 1 x 125 feet 100 Flags Bunting Flags. 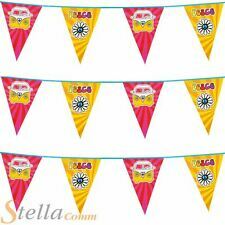 MULTICOLOUR COLOUR BUNTING 125 FEETs 100 FLAGS BANNER BIRTHDAY DECORATION PARTY DESCRIPTION: 100 pennant flags,125 feet 1 flag is L28cm x W18cm approx Material:PVC Plastic Weight:120g Suitable for indoor and outdoor use Ideal for birthdays, parties, decorations etc Assorted Colour Pennant Flags Make your party more fun with our decorations Package Include: 1 x 125 feet Bunting Flags.